Missed the Livestream Meet-Up? Watch Here. NVAR President Christine Richardson and CEO Ryan Conrad met with Bright MLS Chairman of the Board Jon Coile, and provided this brief video update on the latest Bright MLS priorities. For more details read below and visit NVAR.com/Bright. 1.) Historical listings and media: The importing of historical listing data and the associated media from the TREND and MRIS systems completed early this week. Some listings have not been loaded due to errors. We’ll continue to work through those errors and add those listings to Bright. 2.) We made changes to correct history, which was creating some issues with DOM/CDOM accumulating in the Coming Soon status, as well as all previously entered listings that were affected. View the recent and upcoming changes to DOM/CDOM here . 3.) Tax information is now being automatically updated as it becomes available in Bright. Learn more here . 4.) Street Directional Prefix now displays/exports correctly on Mailing Labels. 5.) When looking at an individual office from the Agent or Office Directory or Search page, you are now able to sort the agents listed on the Our Agents Search page by First Name, Last Name or any of the column headers. Credits now display correctly when emailing a Seller Net Sheet report. When loading a Buyer Closing Costs with a dollar amount for a down payment, the Buyer Closing Costs now loads correctly. When doing a Buyer Closing Costs, the FHA loan limit is 6%. You can now choose 6% as an option with FHA. Watch the Bright MLS Online Livestream Meet-Up recorded at NVAR on February 15. 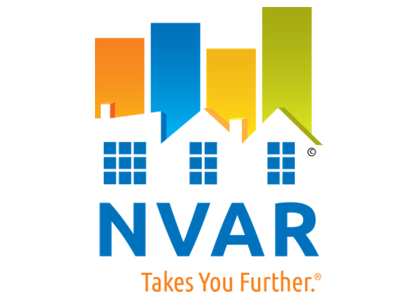 Visit NVAR.com/Bright for the latest news, training and updates.